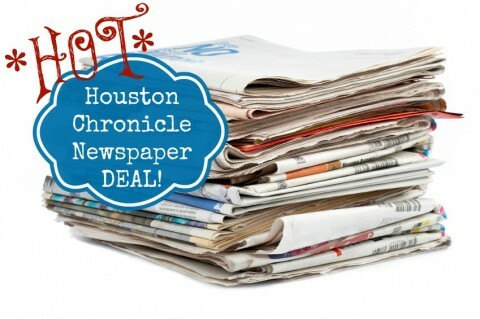 Best Deal Ever! Houston Chronicle (local only) delivered for $1 each and a $30 Bonus! 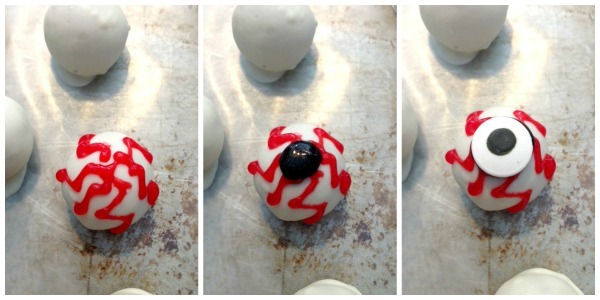 I have wanted to make some more Halloween Cake Pops especially the scary looking eyeball ones for a while. I think they turned out really cute and my kids flipped out over eating them! This is just as simple as all the other cake pops I have made over the last few years and you can see some instructions HERE. 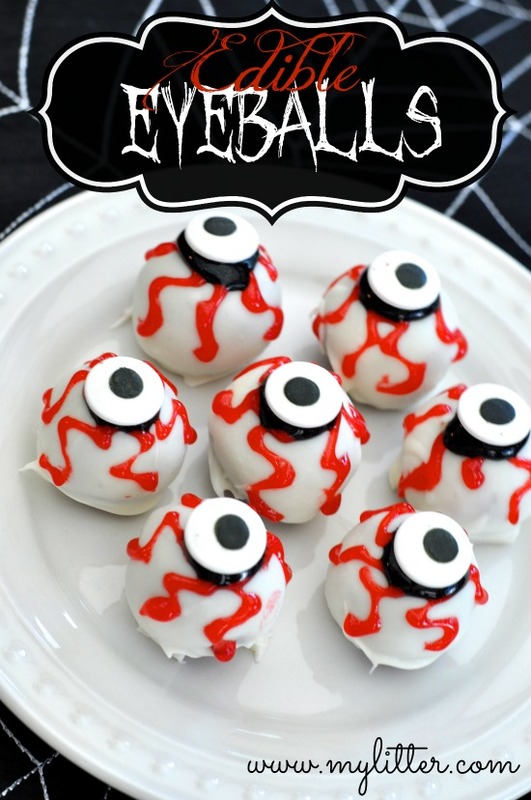 On these since they are supposed to be eyeballs I used a red velvet cake mix to make it more gross! Bake the cake according to directions and let it cool. Take a carton of pre-made frosting and smash up all the cake and mix with the frosting in a bowl. Stick that in the fridge for a few hours. Scoop the balls with a cookie scoop, I use a 1 Tablespoon size to get them all the same size. Once they are all rolled out then you are going to want to coat them with the melting chocolate. Then we can decorate them! 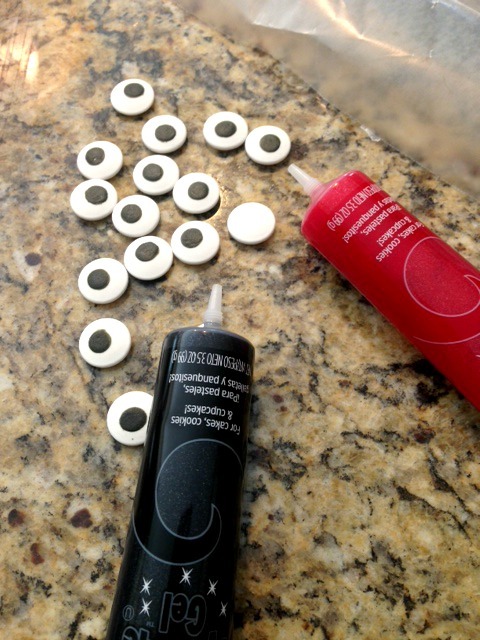 I tried to make it easy and used the Wilton Black and Red Sparkle Gel and the Wilton eyeballs! 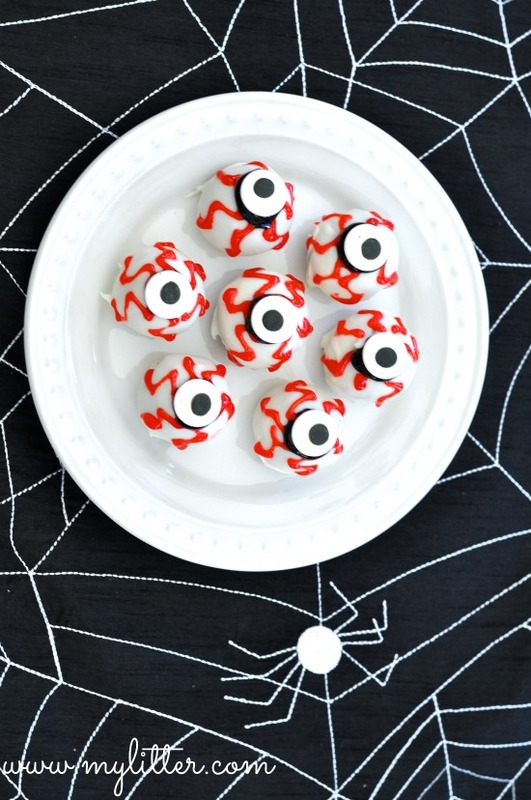 I tried a few with brown M&M’s and I liked the Wilton premade eyes a lot better. I tried to make them look like blood shot eyes. For Halloween they look awesome, for other purposes…. you might want to not have the kids help! But they were easy, and look cool at the end! This is a guest post from my wife Tiffany at MyLitter, she has made a few school lunches in her day! What do you make for lunch?